A holocaust in Syria, ethnic cleansing in Palestine…and the world still complains about terror!!!!!! 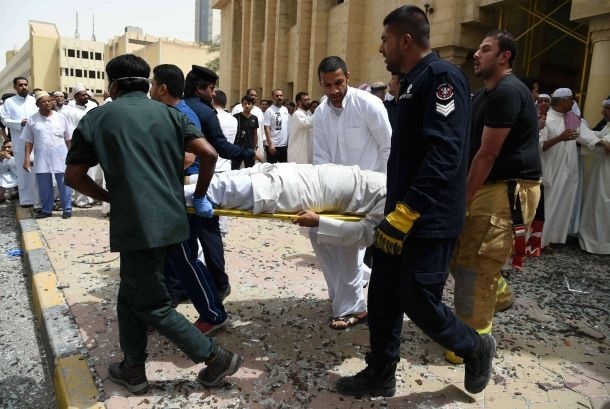 The recent acts of terror in Kuwait, Tunisia and elsewhere must be condemned in the strongest terms. In the final analysis, killing innocent human beings, regardless of their race or creed, is totally unacceptable. “Because of that We ordained for the Children of Israel that if anyone killed a person not in retaliation of murder, or (and) to spread mischief in the land - it would be as if he killed all mankind, and if anyone saved a life…"
But condemnation alone is not enough. We must understand the terror phenomenon objectively, irrespective of parochial political calculations. Otherwise, terror will continue to ruin nations and claim more and more innocent lives. First of all, we must fully understand the motives and incentives that make the terrorists do what they do. Moreover, we must never flinch from asking the "unpopular" and "politically incorrect" questions because otherwise we would continue to revolve in an empty circle. In occupied Palestine, it took Israeli security experts many years to realize that the Nazi-like treatment meted out to innocent Palestinians was first and foremost responsible for the appearance of the so-called "suicide-bomber" phenomenon which many Palestinians and their supporters refer to as Martyrdom operations. About two decades ago, the news anchorman of the Israeli state-run TV asked me how Palestinians would explain this suicide bomber phenomenon to the Israeli people. I remember my answer sounded like this: "Israel is offering Palestinian youngsters either of two choices, death at the Jewish slaughterhouse, or blowing up their bodies into bits and pieces in the streets of Israeli towns. Many young Palestinians are going for the second choice". The prominent journalist, who died several years ago, said initially that my answer was too shocking and too brazen for most Israeli Jews to digest but later readily acknowledged that what I said represented the "harsh truth" and contained elements of truth. The Nazi-like treatment meted out to innocent Palestinians often defied linguistic description. It included manifestly barbarian acts of pornographic violence targeting basically innocent people such as demolishing homes, throwing innocent occupants onto the street, murdering people, including children, without charge and trial and barring badly ill people from reaching hospitals. In many respects, the repression was reminiscent of the repression experienced by European Jewry during the Nazi era. Predictably, this dark evilness on the part of the Israeli political-military establishment drew an unexpected reaction, forcing many Palestinians, mostly in the prime of their lives, to turn themselves into human bombs. Today, we are watching a similar phenomenon unfold in many parts of the world, especially in the Middle East. Unfortunately, many politicians and commentators choose the easy but erroneous rationale to explain the terror phenomenon such as claiming that the terrorists do what they do because they have been indoctrinated to be violent. Others, especially those harboring an anti-Islamic agenda, unhesitatingly point an accusing finger toward Islam itself, although any cool and fair analysis of Islam will show that it is totally and absolutely innocent of all insinuations in this regard. Today, as hundreds of millions of Muslims around the world gather together each evening to break their day-long fast, they can't help being affronted with the phantasmagoric images of Muslim civilians being massacred en mass in Syria in full view of the world. So far, as many as 250,000 Syrians have been killed at the hands of their sadistic regime of Bashar el-Asad which is openly backed and actively supported by Russia, Iran, Hizbullah and sectarian gangs from many parts of the world. Just two days ago, a regime helicopter gunship dropped a huge barrel bomb on an Aleppo home where eight members of a local family were breaking their fast. The entire family was annihilated. This is not an isolated example. Crimes of this nature occur nearly every day as the world watches passively. According to human rights observers, more than 30,000 people in Syria have been tortured to death at the hands of Nazi-like regime. In fact, one would exaggerate little by comparing the regime of Bashar el-Assad to the worst criminal regimes in human history. Now, doesn't the continuation of this thunderous genocide give the terrorists, e.g. IS a point? Doesn't it help them recruit thousands of additional frustrated youths to their cause? What would the leaders of US, UK, France and other western countries suggest these frustrated Muslim youngsters do under these circumstances? Pretend these genocidal atrocities are occurring in distant galaxies? The Palestinian plight has been going on since the creation of the criminal state of Israel in 1948. Since then Israel has been murdering, maiming and tormenting Palestinians nonstop in an effort to force them to leave their ancestral homeland. Last year, Israel wantonly used its American-supplied death machine against the thoroughly starved and hermetically blockaded people of Gaza. The Nazi-like blitz, which lasted for 51 days, destroyed as many as 100,000 homes and killed as many as 2100 Palestinians, the vast bulk of whom were innocent civilians, including more than 550 children. The world, the so-called civilized world, contented with watching American-supplied war planes, such as F-15s and F-16s, drop one-ton bombs on multi-story apartment buildings packed with terrified men, women and children, transforming these buildings into rubble in a matter of seconds and exterminating every human being inside. Interestingly, this pornographic crime against humanity occurred as world leaders and diplomats snidely urged "both sides to exercise restraint"? This was more than just adding insult to injury. It was complicity to a crime against humanity in broad daylight. Now, doesn't this gigantic moral failure on the part of the world community give presumed terrorist groups a real justification for committing their own crimes for a hundred years to come? Moderate Islamists who consistently rejected violence tried to walk in the democratic path in Algeria and recently in Egypt. But when they won elections, they were brutally massacred, tortured to death, ruthlessly repressed and eventually declared "terrorist groups." Needless to say, this happened in full view of western democracies which instead of isolating and boycotting the murderous tyrannical regimes; effectively encouraged them to strangle every democratic voice and every expression of political freedom in their respective countries. To be sure terror is not our destiny as Muslims. However, we have to make a clear distinction between "cause" and "effect, "because in the final analysis we cannot eradicate the "effect" if we leave the "cause" intact. That was in 1988, almost three decades ago. Over time, the political process somehow became an end in itself, the only goal being to get the two parties to the table – nowadays an almost feverish obsession for some governments. It didn’t matter how many Palestinians were killed or imprisoned, or that the bulldozers continued to crush Palestinian homes or even projects funded by the EU, while the cranes built more illegal settlements for Israeli citizens. It hasn’t mattered that one party at the table does not even want the two-state solution, as Mr. Netanyahu openly announced on the eve of the election in March of this year. (He rowed back on the claim after winning reelection four days later, prompting a number of his apologists in Europe to play it down as mere ‘campaign rhetoric’.) It seems not to matter that the current reality is of a single state and two systems – one of privilege for Israeli Jews and one of discrimination for Palestinian Christians and Muslims. Under international law, states have a duty not to support Israel’s occupation of Palestinian land. Logic and law dictate that the EU and its member states take active steps towards implementing the two-state solution. Recognising the state of Palestine on the 1967 border is a natural translation of the Palestinian right to self-determination. This right, as stated in Europe’s own Berlin declaration of 1999, cannot be subject to any veto (meaning, for one thing, that it cannot be made contingent upon negotiations). Following the EU Guidelines relating to prizes and grants, more must be done to ensure that states are not directly or indirectly supporting the occupation, by banning products and goods made on stolen land with stolen natural resources. Furthermore, Israel’s failure to meet the basic conditions of the Association Agreement with the EU should logically result in that agreement being formally reviewed. Saeb Erekat is a Palestine Liberation Organization executive committee member, head of the higher national committee for the International Criminal Court and chief Palestinian negotiator. The Hamas Movement has strongly denounced the terrorist attacks that took place on Friday in Kuwait and the Tunisian city of Sousse and described it as "criminal acts." 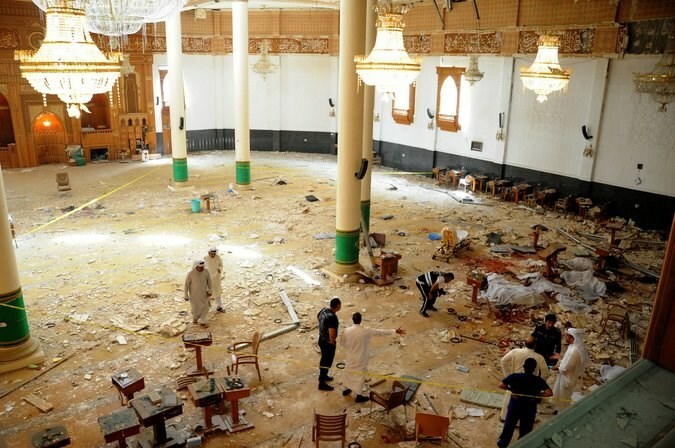 "The bombing of Imam Sadiq Mosque is a criminal act violating all laws, values and norms. We strongly condemn it and ask God Almighty to protect the State of Kuwait and its people," Ezzat al-Resheq, member of Hamas's political bureau, said in press remarks on Friday. "Our sincere condolences to the brotherly people of Kuwait and the families of the victims," Resheq added. The Hamas official also denounced the gun attack on a beach resort in the Tunisian coastal town of Sousse as a criminal act. He called on the Tunisians to strengthen the national unity in order to isolate the extremists. News that Tony Blair and his officials are in active negotiation with Khaled Meshaal, the leader of Hamas to bring about an end to the eight year siege of Gaza might come as a surprise to those acquainted with the record of the former Middle East envoy. Blair has provided invaluable international cover for Israel's actions; he remains an outspoken supporter of the military coup in Egypt; and he has ideologically positioned himself as the nemesis of Islamists of any color. "The state, from which the age of 14 he fought to bring into being, had to be protected for future generations. When that meant fighting, he fought. When that meant making peace, he sought peace." "There won't be a destruction of Hamas...you won't destroy Hamas as a political entity...what I do know is that will only happen if it happens within the context of a way forward, particularly for the people of Gaza, that gives them some hope for the future, because in the end a political movement like that has support on the ground, and you need to shift...take away that support." So why are these talks taking place at all, and why now? The first place to look for evidence of a rethink about the eight year long siege of Gaza is Israel's security establishment. It has fought three wars in that time. That is not to count smaller incursions, bombing raids and targeted killings. Israeli forces dropped an undeclared amount of TNT on Gaza from the sea, land and the air in the 50 days of the last war. The tonnage used at one point on Rafah was so great that even the Pentagon recoiled and refused temporarily to open up its arsenal of guided bombs to replenish Israel's stock. The head of the Palestinian bomb squad claimed, before he was killed, the total amount of explosive used on Gaza was between 18 and 20,000 tonnes, the equivalent of the Hiroshima bomb. The IAF itself admitted dropping 400 tonnes in two days alone. This blitzkrieg has only strengthened Hamas' military capability over the years. It has developed, and continues to test, rockets with a range covering much of Israel. This leaves Israeli military planners with only one option, a full occupation of Gaza. But that would not be straightforward. It would entail heavy loss of civilian life and high Israeli military casualties in urban warfare. It would mean resuming responsibility for Gaza's devastated population and the outcome of such a war would be unpredictable. Hamas remains, along with Hezbollah, Israel's most active enemy. It can not challenge Israel's military might, but it has managed to create a rudimentary army on the land of Palestine itself, and there continues to be a strong camp within Israel, headed by Avigdor Lieberman, that presses for its total destruction. But another camp exists which sees chaos as a greater enemy.
" Hamas leaders, both military and political, are doing everything to maintain restraint. One of their most important brigades is now acting as 'border police,' with 800 combatants taking shifts preventing all sorts of tiny organizations that want to fire rockets or place roadside bombs [on the border]." 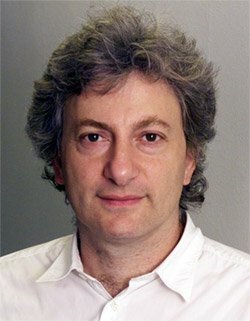 The same idea has resurfaced in a column by Mossad's former chief Efraim Halevy, who called Hamas Israel's "frenemy": "Hamas, for example, is in a state of war with Israel, while its battle against other organisations in the Gaza Strip, which reject its authority, serves Israel's security needs." "If the recent talks mature into an agreement between Israel and Hamas for a limited period of time, it will be necessary to turn it into the first stage of taking a new road. The tactic must lead to a strategy of an ongoing dialogue. The strength of every agreement will always depend on the relations between Israel's citizens on this side of the border and the Arabs on its other side. An official source was quoted recently as saying that we have calm even without giving the Palestinians in Gaza a seaport and an airport. Without addressing these two ambitions, the recent talks prove that the "calm for calm" formula is outdated. Such an approach guarantees another round of fighting". The third ingredient is the prospect that if nothing happens to change the current status quo, Gaza could be the epicentre of an uncontainable explosion. "I came out of all my discussions yesterday in Jerusalem and in Ramallah with the hope that all parties are mindful that here we are sitting on a powder keg here and that we must ensure that the fuse does not catch light,". The prospect of a security meltdown in Gaza, of Hamas losing its ability to restrain other armed groups in its territory, does not appeal. With the proximity of jihadi groups in Sinai swearing allegiance to IS, and the battle going on around Damascus on Israel's northern border, the prospect of Gaza disintegrating into small, undisciplined but heavily armed groups of militants presents a major security risk to Israel. For the EU, which has recently been forced to revise its measures to pick up migrants attempting to cross the Mediterranean from Libya , a major explosion in Gaza could force an exodus of hundreds of thousands of civilians.Neither Israel nor Egypt would accept them. These refugees would literally be pushed into the sea. A fourth element in these calculations could be the possibility that Hamas still holds Israeli military prisoners. There is the story of the Israel-Ethiopian citizen who crossed into Gaza after the war and was detained there. As Richard Silverstein reported, Hamas put up a billboard which featured images of Oron Shaul, an Israeli Defense Forces soldier, whom Israel claims was killed during the war. Shaul is behind bars on the billboard, indicating that Hamas claims he is alive. Steinmeyer himself was thought to be negotiating the return of the remains of Shaul and Hadar Goldin to Israel. No deal to end the siege is yet on the table or even close to being signed. The negotiations between Blair and Meshaal have taken their time for two reasons : there is much suspicion of Blair's motives in acting as go-between. His involvement with the Emiratis and the Egyptian authorities have not gone unnoticed in Gaza City. More substantively, Hamas does not want to be seen as treading in Fatah's footsteps after it recognised the State of Israel. Hamas does not have to recognise Israel nor indeed decommission its armed forces, to secure an opening of the borders. It merely has to agree to and maintain a ceasefire, which is what it is already doing. But nor can it sell the resistance to Israel's occupation for pallette loads of bananas and pasta. That is short selling. Palestinians have a painful collective memory of two decades of peace negotiations, which allowed 600,000 settlers to establish their own facts on the ground in the West Bank and East Jerusalem. This time a ceasefire must lead to tangible political as well as physical gains for Palestinians in West Bank and Gaza alike. If what we are seeing are the first steps of Hamas being brought in from the cold, its strategic challenge is to achieve liberation from occupation for all Palestinians without compromising the founding principles of this conflict such as establishing the right of return. Its not just a principle or a distant memory. Just remember where Gaza's population came from. It is a population of refugees. The British involvement in the Doha talks could yet backfire on Cameron. He is sitting on a report by Sir John Jenkins which concludes that the Muslim Brotherhood is not a terrorist organisation. This has not stopped ministers in the government from attempting to conscript this report as the basis for a declaration that the Brotherhood is an extremist organisation which endangers the social fabric of Britain. They after all have links with Hamas. Cameron will be hard put to publish a proposal which argues that the Brotherhood's influence in Britain should be monitored and curtailed, if a former British premier is talking - with Cameron's full knowledge and authority - to the leader of Hamas. The release of the Jenkins report could have a bad impact on the dialogue Cameron is trying, through Blair, to foster with Hamas. This article was first published by the Huffington Post. 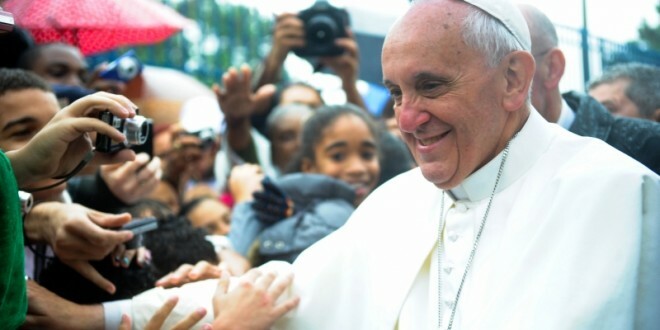 The Vatican Friday signed a historic accord with Palestine, AFP writes on its Twitter account. The accord is the first agreement between the two parts since the Vatican recognized Palestine as a state, and it “deals with essential aspects of the life and activity of the Catholic Church in Palestine” reports J Post. The Vatican called for courageous decisions to end the Israeli-Palestinian conflict with a two-state solution, the newspaper reports. Israel expressed disappointment last month at the Vatican’s announcement that it reached the outline of an agreement with the Palestinians and at the Holy See’s use of the term State of Palestine for the first time in an official document. According to the newspaper, Israel and the Vatican have been unable, after some 16 years of negotiations, to sign an agreement that would deal with matters such as the status of the Catholic Church in Israel. 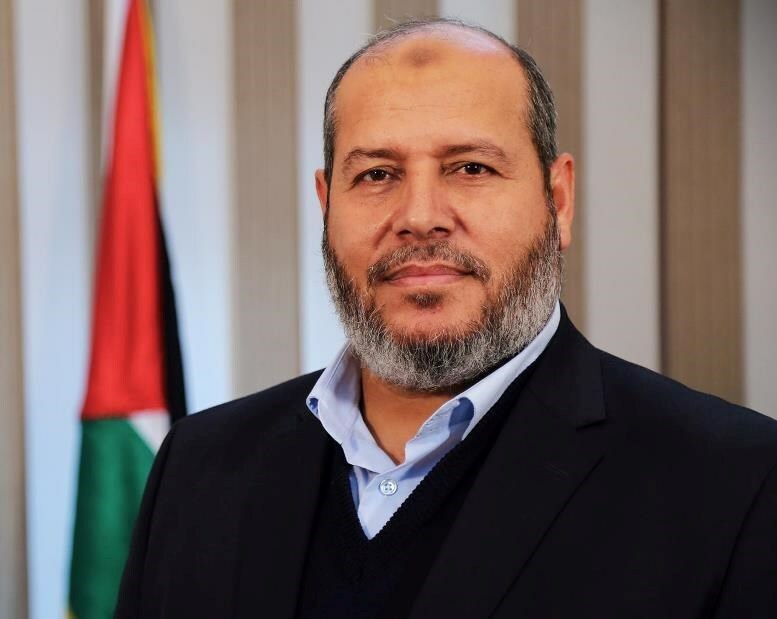 Member of Hamas's political bureau Khalil al-Hayya said that any new Palestinian unity government should receive a national consensus and approval from the legislative council. In a press release on Wednesday, Hayya called for necessarily activating all the Palestinian reconciliation files, including the formation of a government through the Palestinian Legislative Council. He expressed his belief that the current unity government failed to assume its responsibilities towards the Gaza Strip and contributed to strengthening the internal division instead of ending it. The Hamas official also reiterated his Movement's commitment to achieving a genuine reconciliation, which he described as a strategic issue. The Hamas Movement has recently provided lighting for more than 200 homes in Khan Younis refugee camp to face long hours of power outages. 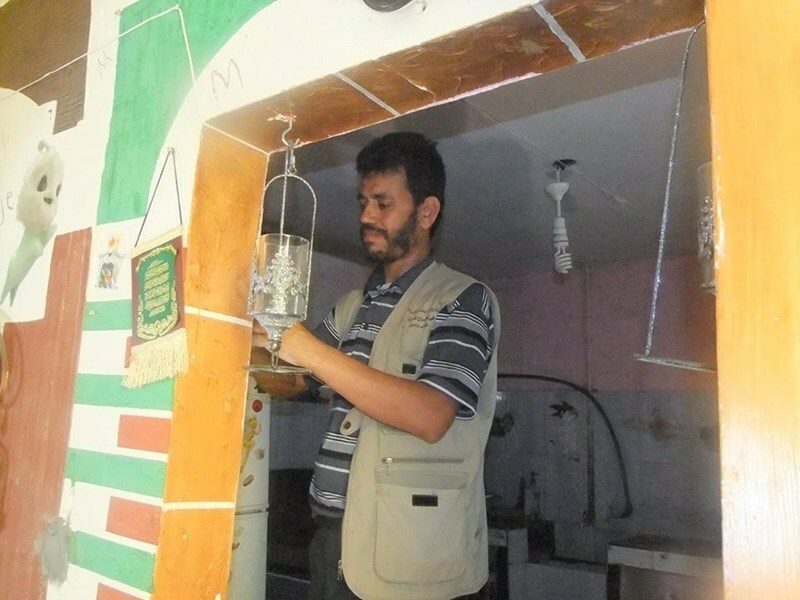 Alternative power solutions were used to address the electricity problem in the camp, according to the information office of Hamas in Gaza. The initiative was part of a widespread humanitarian campaign launched by Hamas in Gaza during the holy month of Ramadan. The Gaza population has been suffering from a severe electricity crisis for several years because of Israel's blockade and its successive wars on the impoverished enclave. The PLO will discuss forming a new unity government next week, a Palestinian Authority spokesperson said Tuesday, after an announcement on June 16 that the consensus government formed last year would be dissolved. 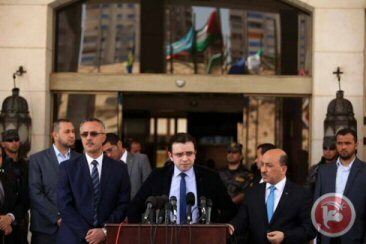 PA spokesman Ihab Bseiso told Ma'an News Agency that the national unity government has not yet resigned and will continue for another week until PLO Executive Committee members complete consultations with PLO factions concerning the structure of the new unity government. Officials told Ma'an, Monda,y that Prime Minister Rami Hamdallah's resignation was imminent, although it has yet to officially materialize. The dissolution of the government was first announced on Tuesday last week at the 15th Fatah Revolutionary Council conference. President Mahmoud Abbas reportedly said that a new unity cabinet would be formed rather than pursuing efforts to reform the existing government. He was reported to have said that the government would resign within 24 hours. On Wednesday, an aide to president Mahmoud Abbas claimed that Prime Minister Rami Hamdallah had "handed his resignation to Abbas and Abbas ordered him to form a new government." However, Abbas' spokesman, Nabil Abu Rudeineh, later told the official PA news agency Wafa that Hamdallah still had not handed in his resignation. 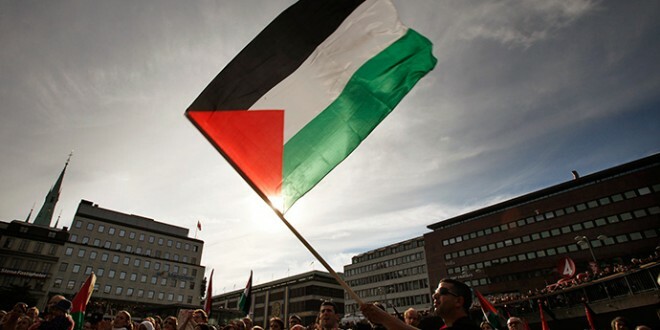 The unity government, consisting of politically independent technocrats, was formed in June 2014 in a bid to end division between the Fatah-led PLO and Hamas. A year on, however, the political landscape remains deeply divided and the unity government has been unable to operate in the Hamas-dominated Gaza Strip. While there has been talk of a government reshuffle for months, last week's announcement suggested for the first time that a new government would have a completely different structure, with factional leaders replacing independent technocrats. Both Hamas and Islamic Jihad condemned the announcement, which they said they had not been consulted over. Palestinian officials suggested the dissolution may have come in response to reports that Hamas was holding indirect talks with Israel on a potential ceasefire agreement that could see Gaza given a separate status to the West Bank.